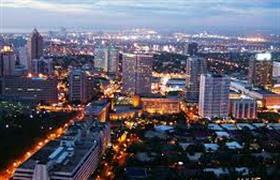 How real estate in the Philippines attracts foreign investors? Philippines include more than seven thousand islands, which are part of the Malay Archipelago. The favorable mild climate, relatively low prices and high tourist service make this exotic country very attractive destination for lovers of luxury beach holidays. And many of them do not mind to buy real estate in the Philippines. Indeed home prices in the local market are low, and the occupation of resort property by the sea is very fast. It is quite simple for foreigners to become owners of property in the Philippines. You can purchase different kinds of lodging - real estate in the capital from the owner and housing from the builder at any stage of construction. The only limitation for buyers from abroad is the purchase of a land plot, but local legislation allows its long-term lease. So, if you bought a single-family house by the sea in the Philippines, you would have to rent the adjacent plot in the form of a long-term and at the same time purely symbolic lease. What does a person who bought a real estate in the Philippines receive? Property owners in Manila or by the sea on one of the Philippine islands get a lot of benefits. Firstly, this is a high standard of living - the Philippines are quite economically developed state. Secondly, the owners of a holiday home in the Philippines have an excellent opportunity to rest longer, cheaper and more comfortable than those who come to the shore of the ocean for a couple of weeks and pay for expensive package tours. And last but not least, apartments and houses on the coast can always be let on a short-term lease and earn not only on the content, but also on the next perfect vacation in a country of eternal summer. Talking about the advantages of the Philippines should be noted the fact that the price of local housing is in a very wide range. As a rule, the most expensive property is concentrated in the central areas of the capital and in the resorts in close proximity to the beach. But just a couple of kilometers from the coast you can buy a similar but cheaper property. Besides, depending on the goals of future owners and their individual financial capabilities, on the islands can be purchased both chic penthouses with breathtaking panoramic views and minor cozy bungalows on a quiet and peaceful beach.